Alexander McCall Smith on serial publication. In this essay on BBC Radio 3, Alexander McCall Smith, creator of Botswana sleuth Precious Ramotswe, muses on the challenges of writing serial fiction (with examples from Charles Dickens) and states: "I fail to meet the standards he sets." Boucher et al. 's Macabre (1958). A doctor races against time to find his daughter, who has been kidnapped and buried alive. The film, which stars Jim Backus and is directed by horror meister William Castle, is based on the book The Marble Forest by Theo Durrant (aka author-critic Anthony Boucher and other members of the Northern California chapter of MWA. Thanks to Jerry House and Jeffrey Marks's Anthony Boucher: A Bio-Bibliography for additional details on The Marble Forest). The House of Representatives highlights the "Mysterious National Hotel Disease" that claimed the life of Pennsylvania representative David F. Robison on this date in 1859. 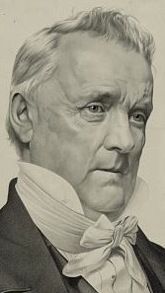 Robison was one of several victims of what was rumored to be a plot to assassinate President James Buchanan by arsenic. British and US skullduggery, Revolutionary War. GWU's National Security Archive provides highlights from the CIA's in-house journal Studies in Intelligence (obtained through the Freedom of Information Act), including this interesting article on the British attempts to infiltrate the US mission in Paris during the Revolutionary War. 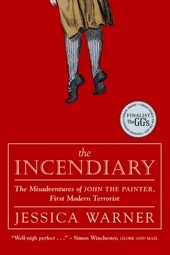 The article also features some US clandestine activities against the British such as an operation to burn the Portsmouth (UK) dockyard by a Scot dubbed "John the Painter." In The Notorious Landlady, US diplomat Jack Lemmon suspects that his landlady (Kim Novak) has murdered her husband. Fred Astaire costars. The screenplay is by M*A*S*H's Larry Gelbart and director-screenwriter Blake Edwards, based on the 1956 Collier's story "The Notorious Tenant" by British author Margery Sharp (best known for The Rescuers). The religions of comic book characters. Update, Bly's The Mystery of Central Park (1889). 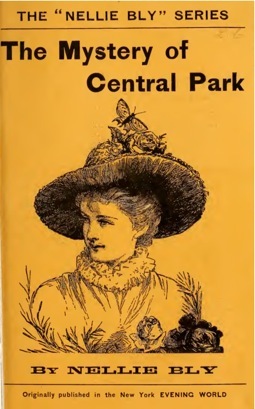 My earlier post on Nellie Bly's only mystery novel, The Mystery of Central Park, may have had some results. The Library of Congress informed me that it has digitized its copy of the novel, which is now available through the Internet Archive. This is excellent news, as there are only three copies in US libraries. Doctoral scholarship avbl for EU residents, work on Conan Doyle. The Centre for Studies in Literature at the University of Portsmouth (UK) invites applications for one student to undertake a fully funded AHRC Collaborative Doctoral studentship on the topic of "Possession and Obsession: The Case of Arthur Conan Doyle," supervised by Dr. Christopher Pittard and Dr. Patricia Pulham (University of Portsmouth), and Dr. Jane Mee (Portsmouth City Council). 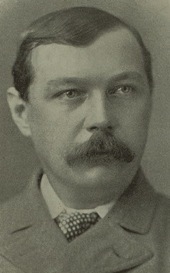 As part of this collaborative project, the successful candidate will also work closely with Portsmouth City Council in developing the use of the Arthur Conan Doyle collection (Lancelyn Green bequest), an extensive archive of Doyle memorabilia, and organising public outreach events related to the collection, gaining transferable skills and experience for use in the cultural services and related sectors. The AHRC will pay for fees and an annual maintenance grant of £14,276. • To examine Doyle’s relation to late nineteenth- and early twentieth-century literary and cultural contexts, with reference to questions of reading communities, modes of textual production, and the historical origins of fan identity. • To consider the cultural relationship between late Victorian fandom and twentieth- and twenty-first century constructions and appropriations of Doyle, addressing issues of authorship, intellectual property, and theoretical models of fandom. Applications and details of proposed research projects should be made through the University of Portsmouth Web site (under the "Research Degrees" section). Proposals need to indicate that the applicant is applying for the "Possession and Obsession" studentship. Application deadline is July 5. Questions should be directed to Pittard. In the gritty The St. Louis Bank Robbery, Steve McQueen is drawn into a plot for a heist (based on a real case from 1953). The film's directors are John Stix and Oscar winner Charles Guggenheim, father of documentary filmmaker Davis Guggenheim (An Inconvenient Truth). What's next? A graphic-novel Perry Mason? 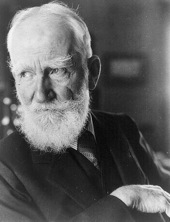 Through the lens with George Bernard Shaw. An interesting online exhibition by the London School of Economics archives looks at playwright George Bernard Shaw as a skilled photographer. 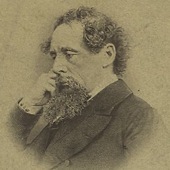 Photo subjects include sci-fi and mystery author Grant Allen (I introduced the Valancourt Books edition of Allen's Miss Cayley's Adventures), writer Rebecca West, and artists Augustus John (father of Ian Fleming's half-sister Amaryllis) and Neville Stephen Bulwer Lytton (grandson of novelist Edward). Also featured are some photos by Shaw's friends such as T. E. Lawrence (aka Lawrence of Arabia) and Shaw productions such as Major Barbara with Wendy Hiller. In The Ghost of Rashmon Hall, a psychic investigator (The Man in Black's Valentine Dyall) grapples with the presence of three poltergeists in a London house. The film is adapted from "The Haunted and the Haunters" (1859) by Edward Bulwer Lytton, who wrote proto-mysteries such as Eugene Aram (1832) and is best known these days for this writing contest. In this article for Nineteenth-Century Contexts, Mark Knight discusses Bulwer Lytton's interest in the occult and his revision of "The Haunted and the Haunters" that reflected his attempt to reconcile leading philosophical theories of his day. It is possible that he based his fictional house on the one at London's 50 Berkeley Square, long reputed as a hotbed of paranormal activity. The story also is notable for Bulwer Lytton's choice to set it in a urban environment rather than the then-customary remote locale of such stories. 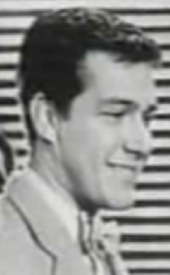 Stills from the film may be viewed at this site devoted to the work of director Harold Baim. It came from the archives: Fitzgerald's ledger. The Irvin Dept of Rare Books and Special Collections at the University of South Carolina has digitized F. Scott Fitzgerald's ledger in which he recorded his earnings from writing, as well as income by his wife, Zelda. Entries range from the listing of his first published short story ("Babes in the Woods," Smart Set, Sept. 1918) and notations on the income from his novels to the record of his appreciation of journalist and author Ring Lardner (New Republic, Oct. 1933) and the radio piece "Let's Go Out and Play" (1935). The ledger also includes an autobiographical timeline. Although many may not be interested in the fact that Fitzgerald had colic when he was a baby and find his references to being drunk or "tight" repetitive, he notes in the 1909 entries, "Wrote the Mystery of the Raymond Mortgage." (This flawed mystery tale, later reprinted in EQMM, is found in The Apprentice Fiction of F. Scott Fitzgerald, ed. 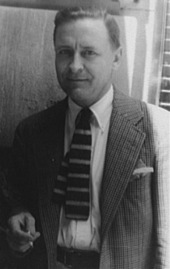 John Kuehl; I discuss it in my 1999 piece for Mystery Scene, "F. Scott Fitzgerald: Mystery Writer?") There is a tantalizing notation on one of the "ten years old" pages, "He began a history of the U.S. and also a detective story about a necklace that was hidden in [sic] a trapdoor under the carpet," but the latter does not seem to have come to fruition (a trap door concealed by a carpet does appear in Fitzgerald's Pat Hobby story "No Harm Trying"). There are lively bits such as the reaction of his grade school classmates to him ("Will someone poison Scotty or find some means to shut his mouth") and sadder details such as "Zelda transferred to Sheppard [psychiatric facility in Maryland] in katatonic [sic] state."